The situation in the Diocese in Europe is different from that in England, because in England the Church of England minister has a legal role, acting for the state as well as the Church. 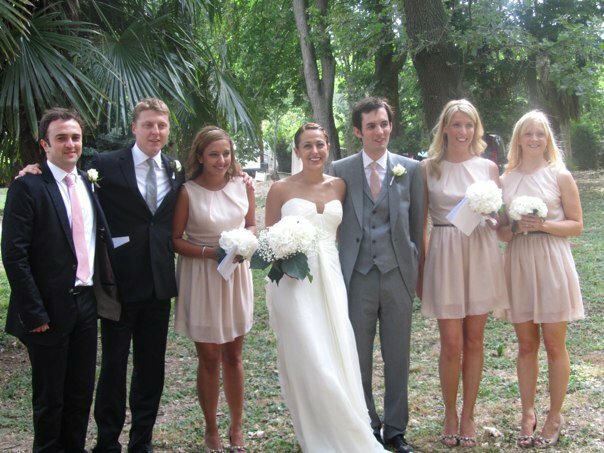 In France the legal side of the marriage is entirely in the hands of the state and marriages take place at a Mairie. Couples must have had a civil marriage before the church ceremony. Having taken advice from the Diocese, we are pleased to offer a marriage service, provided certain conditions are met, as follows. (a) Arrangements for a marriage must be made between the officiating minister and the couple concerned, and never through a commercial third party. (b) There has to be what is called a "qualifying connection", either a residential connection in the Hérault (the couple, parents or grandparents) or a connection with our church at Saint-Pargoire. The actual rules are fairly complicated, but I can give you more information if you need it. (c) At least one of the couple must be baptised (in England this requirement no longer has to be met). (d) When one or both of the couple has a former spouse still living there are more formalities to go through. These are not intrusive, but may bring back painful memories. (e) Except in special circumstances, such as the serious illness or incapacity of one of the parties, for which the Bishop's Licence is required, the service may only take place in the chaplaincy's usual place of worship at the Temple, Saint-Pargoire or in another consecrated church (eg a Roman Catholic village church).